Most of us know her as the wife of Lee Hsien Loong, the third and the current Prime Minister of Singapore, though she is much beyond that; a caring mother, a doting wife and as they call her – ‘the strength of the family’. Internationally known to be the Chief Executive Officer of Temasek Holdings, she has served as a public servant for many years. 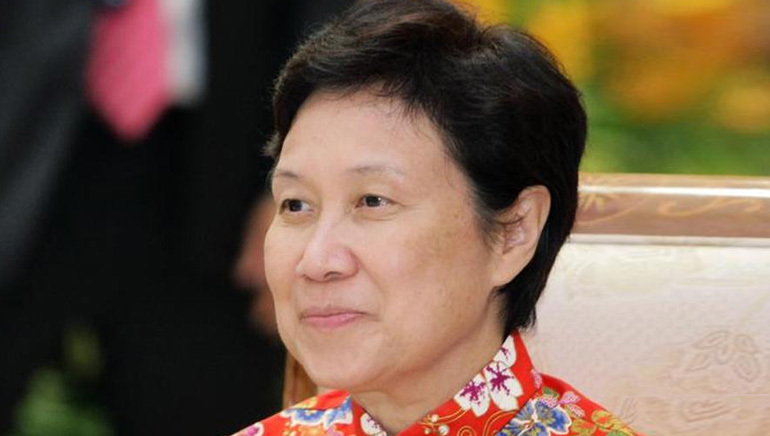 She took Temasek Holdings from being a domestic firm to an emerging investor across Asia. She completed her Masters in Science from Stanford University, kick-started her career as an Engineer at the Ministry of Defence, Singapore in 1976, and climbed the success ladder until she became the Chairperson of the Singapore Institute of Standards and Industrial Research. As of 2013, under Ho’s leadership, Temasek had a principal investment portfolio worth USD 173 billion. When her father-in-law, Lee Kuan Yew, passed away at the age of 91, this 62-year-old woman was seen calming her husband in the assembly, and comforting her son, Li Hongyi, when he broke down at the cremation service. She stood strong not only for the family but in support of various social services as well. She ensures funding for education, health, sports and community welfare through her charitable organizations.